Marijuana is moving from illicit to accepted across much of America, with states from Florida to Alaska having legalized the drug for medical and recreational use. While there are still some pretty strict regulations on who can grow, possess, and ingest the buds, many personal growing operations are moving out of the closet and into the open. 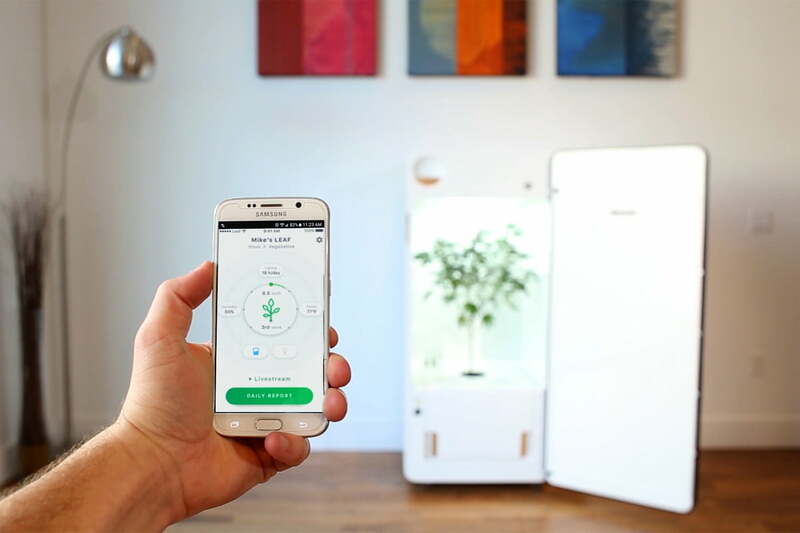 Case in point: a small refrigerator-sized box called Leaf, which is designed to help growers grow healthy plants — from kale to cannabis — with minimal effort. The grow box is built with sensors to measure vitals like temperature, humidity, pH, and plant height. Cartridges automatically feed nutrients to the plant. An app allows growers to monitor and control the production, and a carbon filter helps keep any “skunk-like” smell out of the house. When the bud is harvested, the box can be set for drying mode. Unlike many other systems that help growers connect their operations to the Internet of Things, Leaf is intended to be all-in-one. Leaf was first announced in September 2015 when the company began taking $100 deposits to reserve a limited number of $1,500 beta devices. Starting today, Leaf is taking $300 pre-order deposits for updated boxes that will retail for $2,990, with shipment expected by September 2017.